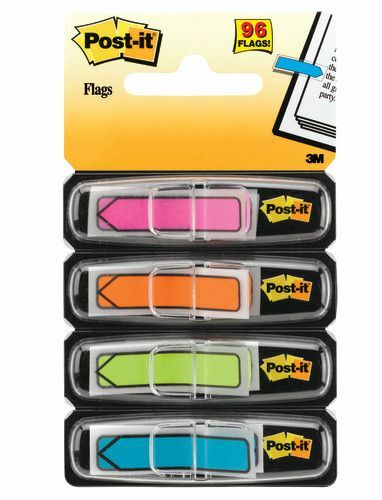 Post-it® flags are packaged in easy-to-use dispensers that enable you to take as many flags as you need out of the package. The remaining flags are protected from dust and fingerprints, and their adhesive stays strong in the dispenser. All you need to do is pull as many flags as you need from the dispenser, one flag at a time. Then, affix each flag so it points to a place where your document needs signing. 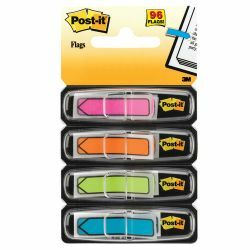 The flags stay on securely, and you can easily remove them once you are done without causing any damage to your paper document.